That’s the quote that got America talking. In the moments after Sherman’s post-game interview, Twitter exploded. People called him everything from a “thug” to a “disgrace,” and even Justin Verlander – a professional pitcher for the Detroit Tigers – suggested that Sherman would get “high and tight” fastballs if he were in the MLB. On top of that, tweets and memes like the one below spread like wildfire. 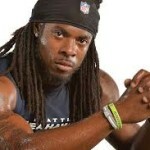 But from my perspective, the heat Sherman is getting is not just misguided but ludicrous. This is a guy who represents one of the best kinds of sports stories there is in the world: the rise from the bottom, the profound destruction of obstacles, the honest success story built by a foundation of hard work and loving parents. If anyone with a brain took the time to learn about Richard Sherman, and then put him in the context of the rest of the National Football League, he’d be a pretty hard guy to bash. Firstly, we’re talking about a 25-year-old who came out of the streets of Compton, California. Sherman graduated from one of the worst school districts in the United States, one that boasts a high-school graduation rate of 57 percent. In a country where 68 percent of all federal and state inmates are lacking a high school diploma, you could say Sherman avoided a horrifying fate. But to say he “got lucky” or “escaped” would be foolhardy. He didn’t “just graduate,” either. He finished with a 4.2 GPA, second in his class, and went on to Stanford University, one of the most prestigious places to get an education in the entire world. He busted out in a rocket ship. He went from a world of gang violence and drugs to everything that Palo Alto and Stanford University represent. So now, America, let’s talk about Richard Sherman in the NFL. Let’s talk about the Stanford graduate from Compton who has never been arrested, never cursed in a post-game interview, never been accused of being a dirty player, started his own charitable non-profit, and won an appeal in the only thing close to a smudge on his record. Last year, Kansas City Chiefs player Javon Belcher killed Kasandra Perkins, his girlfriend and the mother of his own child, before taking his own life. Week in and week out, we sit down in front of our televisions and cheer for these freak athletes to destroy each other’s bodies in one of the most brutal games known to man. Most of us probably do it with a beer in our hand, screaming and cursing at our TVs in a desperate hope to change the outcome of the game. We ignore how the NFL’s owners use our tax money so freely, and we don’t seem to care much about the brain damage retired players suffer from every year. Last night, when Richard Sherman went on his rant to Erin Andrews, most of America thought they were learning about the arrogance of another NFL player. 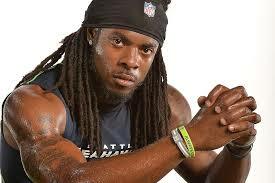 But in reality, what Richard Sherman did was teach us about ourselves. He taught us that we’re still a country that isn’t ready for lower-class Americans from neighborhoods like Compton to succeed. We’re still a country that can’t decipher a person’s character. But most of all, he taught us that no matter what you overcome in your life, we’re still a country that can’t accept someone if they’re a little louder, a little prouder, or a little different from the people we surround ourselves with.